This was a first weekend in a very, very long time that I was home in its entirety and there was no schedules to be kept, no planes to catch, no where to be, no one to meet… Kind of nice and relaxing. 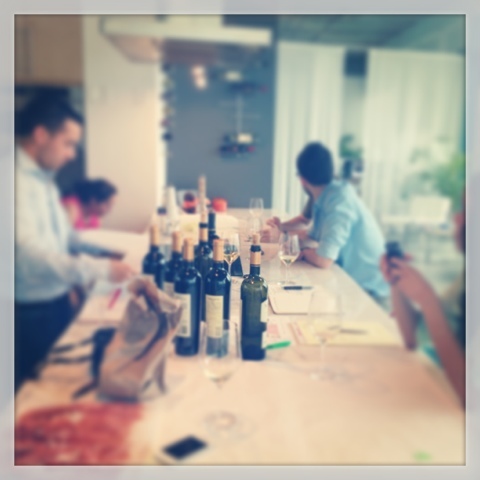 The weekend actually started with a work function – “traveling” to Sicily while tasting wine and learning more about food and wine pairings and Sicilian wines… I think every weekend should start with some wine tasting! 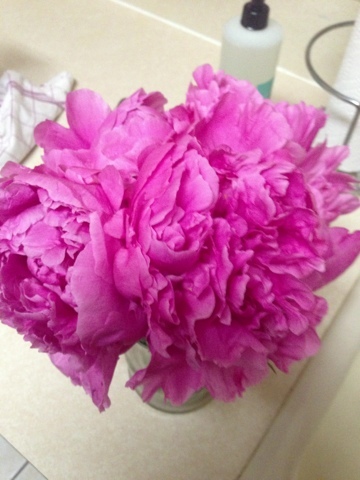 Since it is peonies season, I bought a bouquet of lovely pink peonies to brighten up my weekend! With all the gloom and rain we’ve had last week, I needed some bright and pink in my life. Why can’t they bloom all year round?!? They are such beautiful and happy flowers! 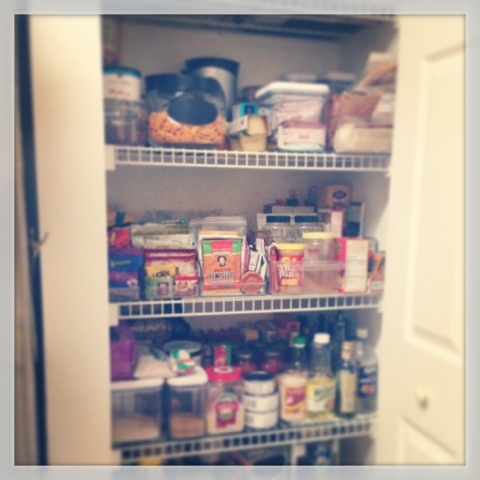 While Kiki took a nap, I attacked the pantry and decluttered the kitchen. It was amazingly therapeutic. Organized and clean kitchen is a key to good cooking… Or so I keep telling myself. But if nothing else, now I know what I have in the pantry…plus getting rid of memories of past life is cleansing and leaves for more room for future…i.e. champagne flutes that were a wedding gift were on a chopping block and now are in the box for Salvation Army. 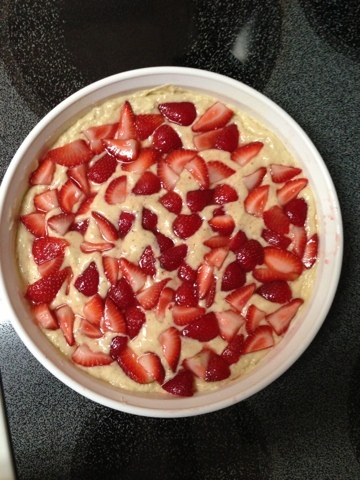 Kiki and I went strawberry picking… I think we picked one too many strawberries so I made a simple strawberry tart. I promise to post the recipe…. It was simple, sweet and satisfying!!!! The mystery man agrees… The tart passed the test! Sunday was a first beautiful sunny day, so Kiki and I spent lounging in the back yard – blowing bubbles, soaking up the sun, reading and sipping on our iced lattes, well for Kiki it was chocolate milk 🙂 it was an extra special morning I will remember for the rest of my life – Kiki said “mama vojim te”… Which means “mommy I love you”!!! My heart is full!!! 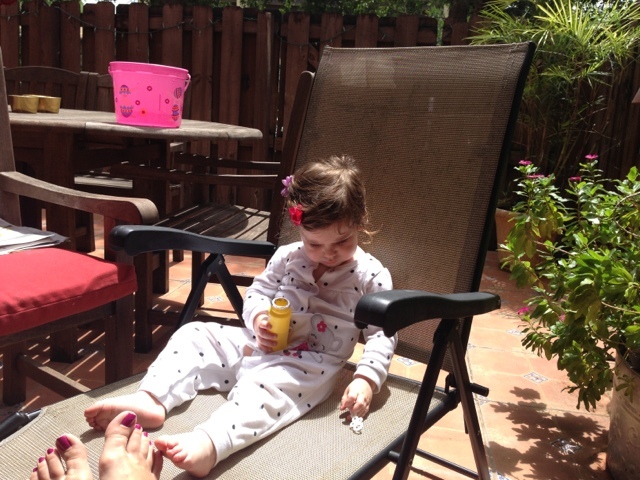 We enjoyed Sunday lunch al fresco….our favorite! 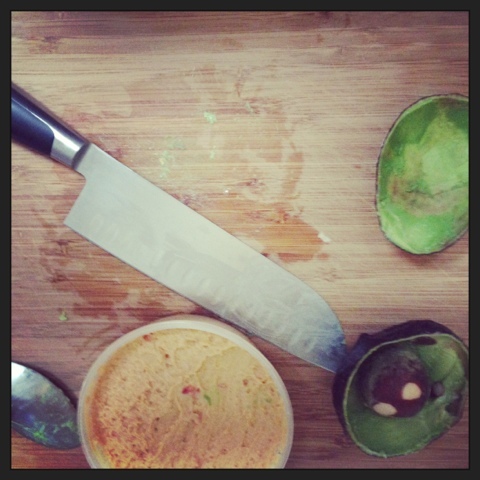 We had our favorite “fridge clean up” lunch – avocado, hummus, cheese and tomatoes- one lunch that will never get old. 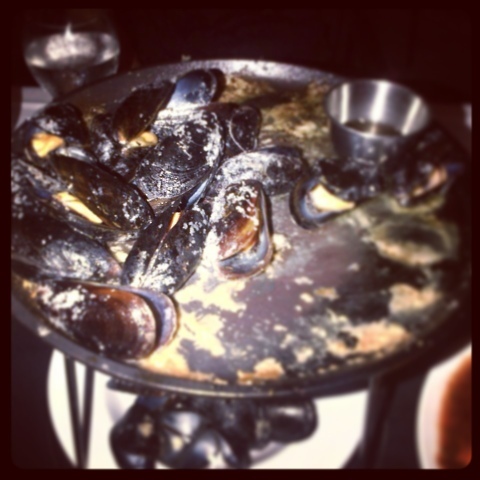 Weekend ended with a plate of mussels, tiramisu and a glass of wine shared with the Mystery Man….just in time before i hopped on the plane and started the crazy travel schedule. My first stop…NYC…. How was your weekend? hope it was filled with lots of love, laughter and peonies!!! !